A mother jailed for life for killing her two babies is expected to be released on bail soon to await the hearing of a fresh appeal. A full appeal into Donna Anthony's case will be heard in April, but her conviction will stand until then. 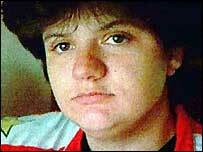 Anthony, 31, of Yeovil, claims she was wrongly convicted in 1998 following the deaths of 11-month-old Jordan and four-month-old Michael. On Tuesday, a judge said she should be granted bail, subject to conditions. But after lengthy private discussions with lawyers, Deputy Chief Justice Lord Justice Judge announced it had not been possible to finalise bail arrangements. He said he would make himself available to hear the bail application at any time, if necessary on the telephone at home at the weekend. Meanwhile, Anthony remains in custody. The prosecution has said it will put no arguments forward during the appeal. James Chadwin QC, for Anthony, told Lord Justice Judge that she had been in custody for six-and-a-half years and was hoping her convictions would be quashed on Tuesday. The judge said that, sitting alone, he had no jurisdiction to allow the appeal. It was for a three-judge court to decide the matter, regardless of the prosecution's stance, he said. Anthony's solicitor, George Hawkes, told the BBC: "The judge wanted to give her bail, but it was her decision to stay where she is." Mr Hawkes added: "Her life has been devastated by events. "But she is bearing up well. After seven years in jail, a few weeks won't make any difference." In 2004, the Attorney General announced a review of 297 cases following a judgment in the Angela Cannings case, with 28 referred to the CCRC following the quashing of Ms Cannings' conviction. She was cleared on appeal in 2003 of killing two of her sons, seven-week-old Jason and 18-week-old Matthew. Anthony's original murder trial, at Bristol Crown Court, relied on evidence from paediatrician Professor Sir Roy Meadow, whose evidence in other cases has been discredited. Anthony believes her children were victims of cot death.